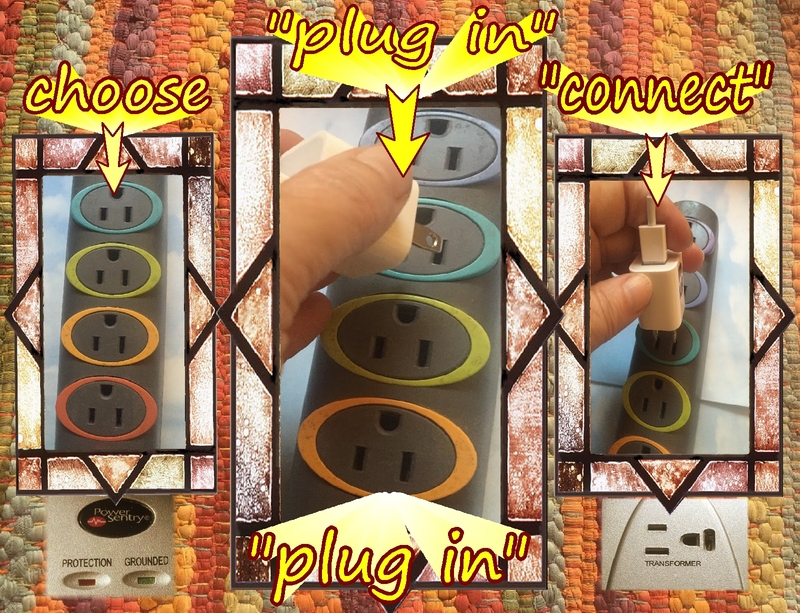 I really have been trying to “choose, plug in and connect to” the positive energies of those many positive qualities and skills…. doing my best to try to live those ideas, qualities and skills with curiosity, willingness, openness…and maybe even a bit of enthusiasm! And…recently…I’ve been able to do that more often! that’s me in those photos, taken last week!!!! Wow!!! Last week, I learned how to ride a motorcycle/dirt bike!!!! Wow!!! living the ideas on those lists!!! 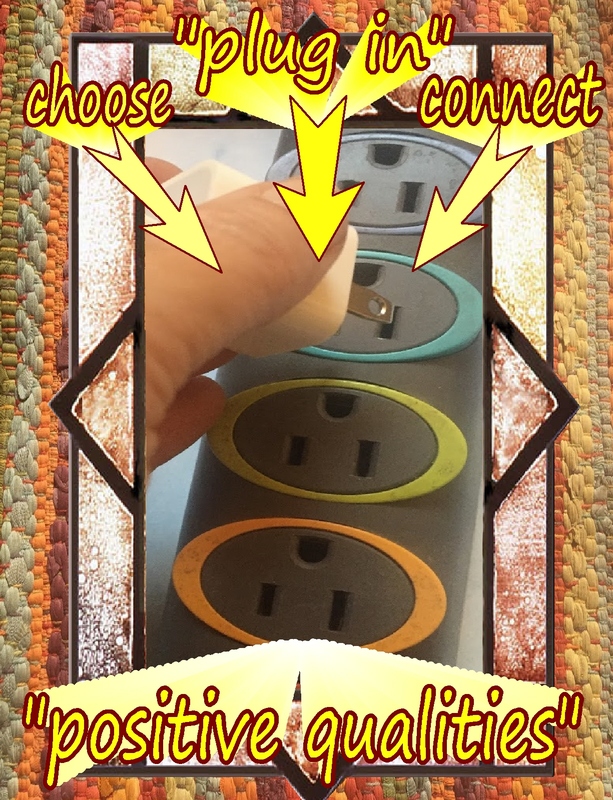 in support of….motivating, nurturing and encouraging myself to try to live these ideas! In support of living in this more positive, proactive manner, I created this Daily Checklist (specific to my own daily life) using these wonderful ideas… in support of making cheerful choices to be creating positive habits through nurturing and developing more conscious ongoing awareness of, commitment to and activation of some of these positive qualities and ways of living each day…. hopefully taking these positive ideas from an “interesting, theoretical, academic perspective” to a “living these ideas each day” perspective…leading to a richer, more meaningful, engaged sense of well being in our everyday lives! Part of Nurturing Thursday, hosted at Becca Given’s Blog, On Dragonfly Wings with Buttercup Tea. Please visit Becca’s blog for her Nurturing Thursday post and links to posts by other Nurturing Thursday bloggers. 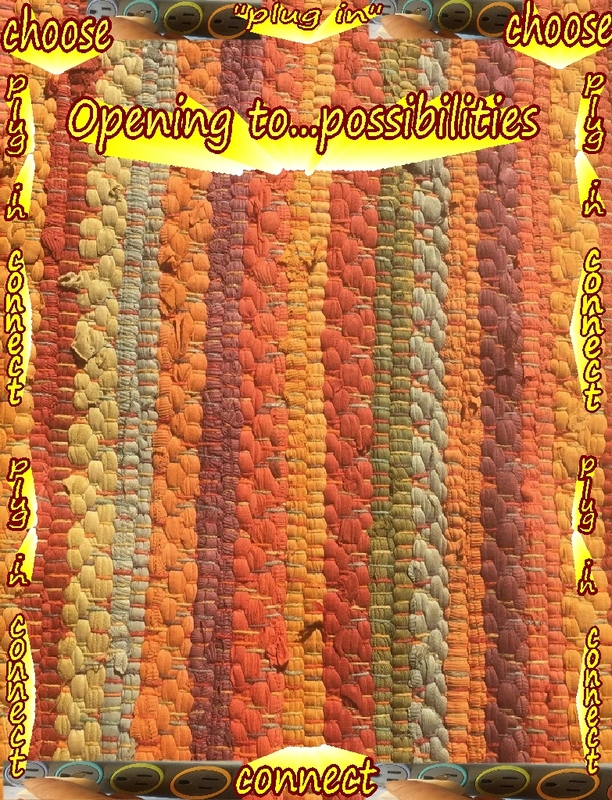 This entry was posted in Encouragement, Life and tagged Appreciation, Awareness, Compassion, Courage, Encouragement, Inspiration, Intention, Life, Mindfulness, Motivation, Spirituality, Strength, Wisdom. Bookmark the permalink. 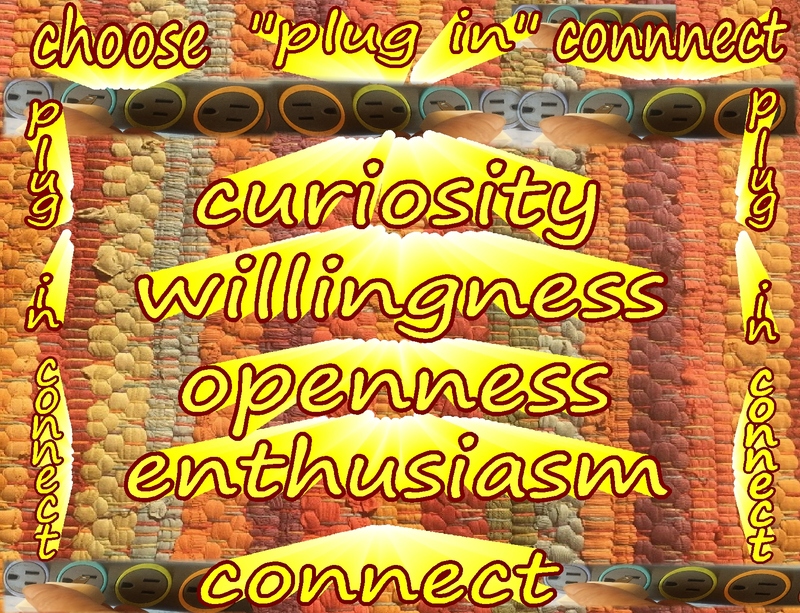 13 Responses to Living with curiosity, willingness, openness and enthusiasm…as I learn to “choose…plug in…and…connect” to positive energies! Great post and amazing actions! Thanks Peter…thanks for your support in making this transition! 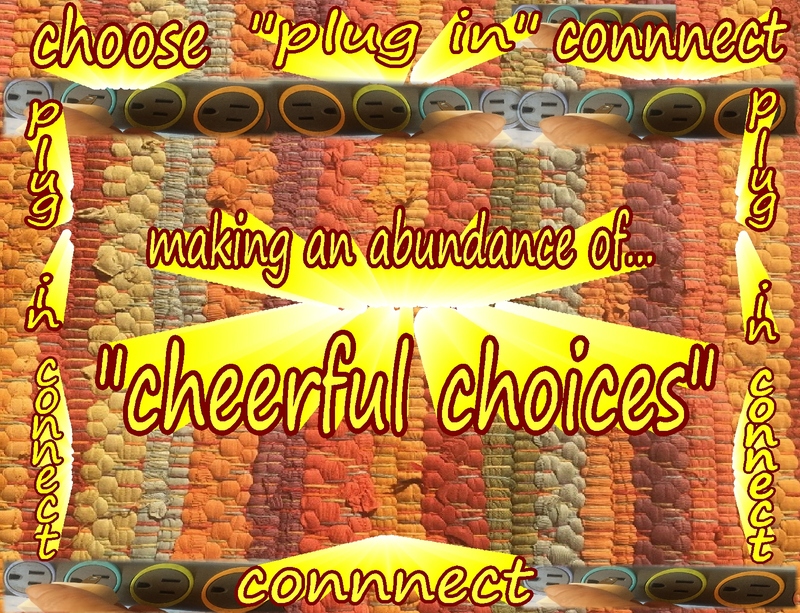 Cheerful choices, indeed! I still CAN’T believe I actually rode/drove a motorcycle!!! WOW!!!! Thanks! I’ve been trying to stay aware of exploring new and fun activities and ideas…and that dirt bike was one of them. Even though the past months were confusing, I’ve learned so much by studying and reading about “resilience”strategies and qualities and “well being” qualities…and have been able to actually use and live those ideas into my everyday life….so it led to positives, so that’s good. What a brave post to share! 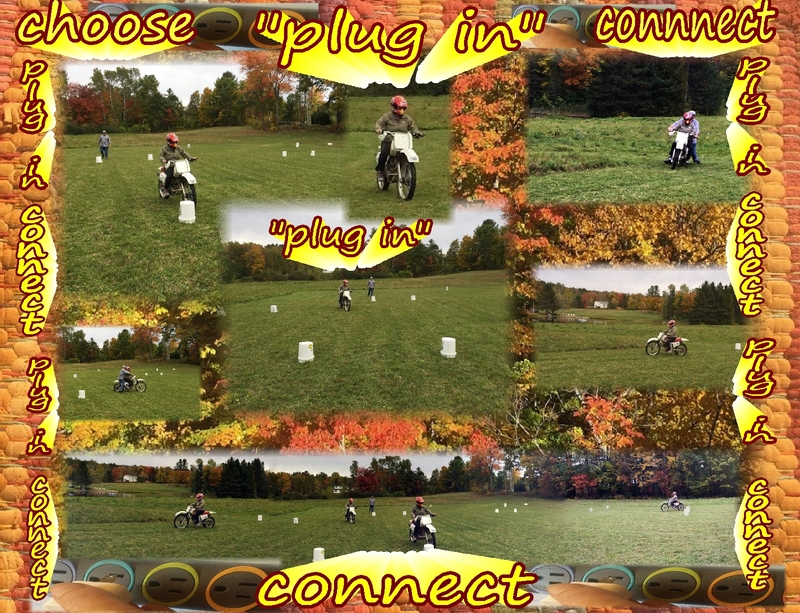 With cool action to aid in your plan — to plunge right into it — a dirt bike!! Bravo! Thank you for sharing! !